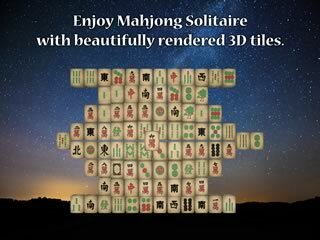 Full-Featured Beautiful Mahjong Tiles Solitaire. Relax while matching tiles in this classic game. 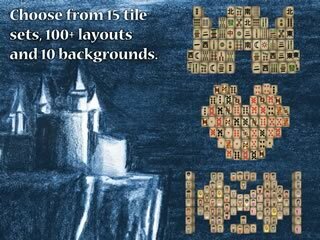 Choose from 15 different tile sets, more than 100 unique layouts and 10 different backgrounds. This game includes all the features you'd want: hint, undo, shuffle, marking, a timer and more. 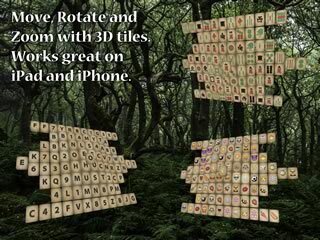 The 3D tiles can be rotated, moved and zoomed to easier gameplay on small devices. Tile sets include classic mahjong, people, cats, dogs, trees, emoji, robots, letters and even the periodic table of elements. Switch between tile sets even while in the middle of a game. 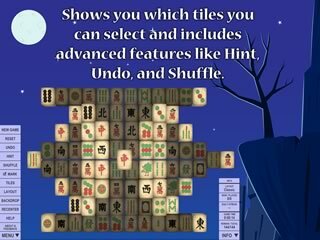 Layouts include everything from the classic mahjong solitaire layout to simple and complex patterns and shapes. Each layout is show with a rating of how easy or difficult it makes gameplay. Free Mahjong Tiles Solitaire also tracks your wins and plays for each layout. It even keeps a record of streaks -- the number of consecutive days you have played and won a layout.